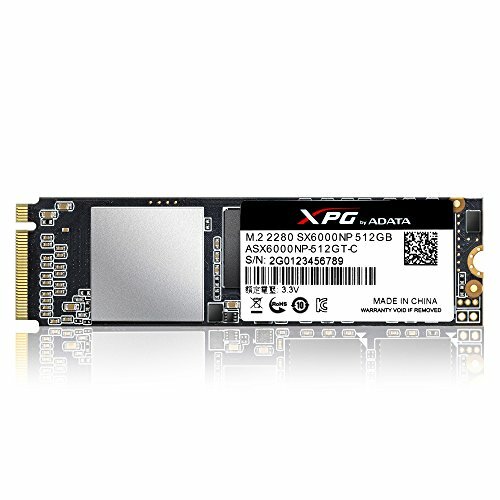 The newest M.2 2280 PCIe Gen3x2 SSD from XPG, XPG SX6000 delivers fast speed for gaming notebooks and high-end desktops with a very cost-effective price. Utilizing the fast PCIe gen3x2 interface, XPG GAMMIX SX6000 reaches high speeds of up to 1000/800MB per second (read/write)*, outperforming SATA 6GB/s by a huge margin - several times over, with NVMe 1.2 qualified, XPG GAMMIX SX6000 delivers superior random read/write performance and multi-tasking capabilities. It implements 3D NAND flash, which provides higher storage density and reliability compared to 2D NAND. With support for intelligent SLC caching, DRAM cache buffer and LDPC ECC technologies, XPG GAMMIX SX6000 maintains optimized performance and data integrity during even the most intense gaming, rendering, overclocking, or other high-demand applications. XPG GAMMIX SX6000 comes with 5 year warranty for a worry-free ownership experience. *read/write speed may vary depending on capacity and paired devices.